Ever wonder how you can download all of your photos from Instagram? Now you can easily download all Instagram photos, videos, along with images and movies from your Stories, as well as direct messages pictures, data, and media, comments, profile info, and other information related to your Instagram account. Of course most people will primarily be interested in downloading their pictures and videos from the service, and so that will be our focus here. This guide will show you how to download all photos and videos from an Instagram account to any Mac or Windows PC. Technically you can download the files to an iPhone, iPad, or Android as well, but it’s perhaps less useful there. 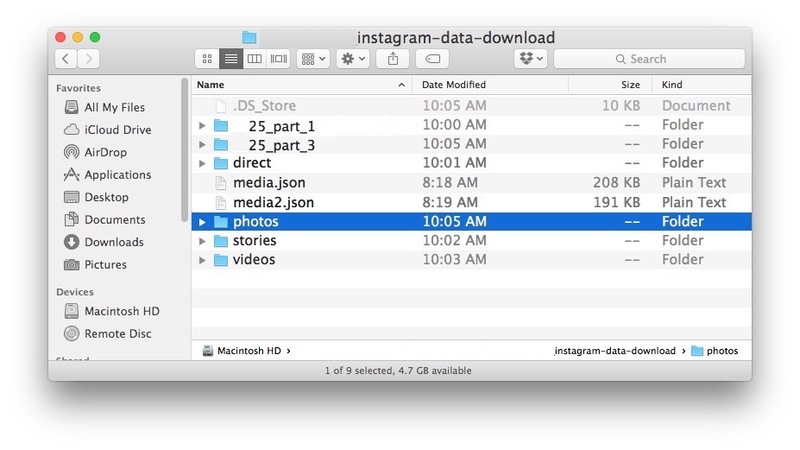 The downloaded Instagram data arrives as an archive file, perfect as a backup or as a portable data archive for storing elsewhere or using as you wish. This is a multi-step process that can take a little while to complete for several reasons; first, you have to request access to your pictures, videos, and data from Instagram, then you have to wait a while for them to process that data download request (it can take a few days), once Instagram approves the request, you can then download your Instagram photos and videos (along with all other profile media and data) from links that are emailed to the email address associated with that Instagram account. The downloaded files arrive as an archive that must be decompressed, sometimes split into multiple parts, depending on how much data you have given to Instagram, and how many pictures and videos you have posted to the service. That’s it! The downloaded file(s) can be quite large so you’ll want to be sure you have hard disk space for them, and you’ll also want to decompress the archive file(s) to access your actual downloaded Instagram photos and videos. Your downloaded Instagram photos, videos, images, stories, direct messaging, and other information will be stored within various folders in the unzipped archive folder, labeled as “photos”, “stories”, “videos”, “direct”, and possibly a few other directories with more cryptic names, along with ‘media.json’ files that are text files containing information about your Instagram comments, Likes history, searches, profile information, and other Instagram profile data. And that’s it, you have now downloaded all of your Instagram pictures and movies, and it’s the official method! That means you no longer need to rely on third party download tools, or tricks to manually save an Instagram photo like using the snap-and-crop method – though that would still be necessary to save Instagram photos that are not yours or related to your profile and communication through the service. 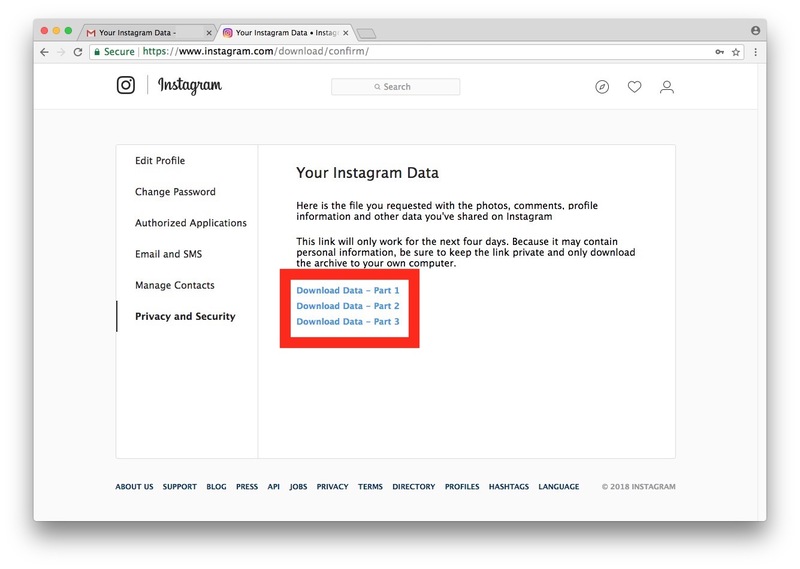 Be aware the Instagram data download links are only active for a few days as well, so if you miss your opportunity for downloading your Instagram photos and videos, you would need to start the process over again to download your images, movies, profile info, and whatever else is stored for your account. 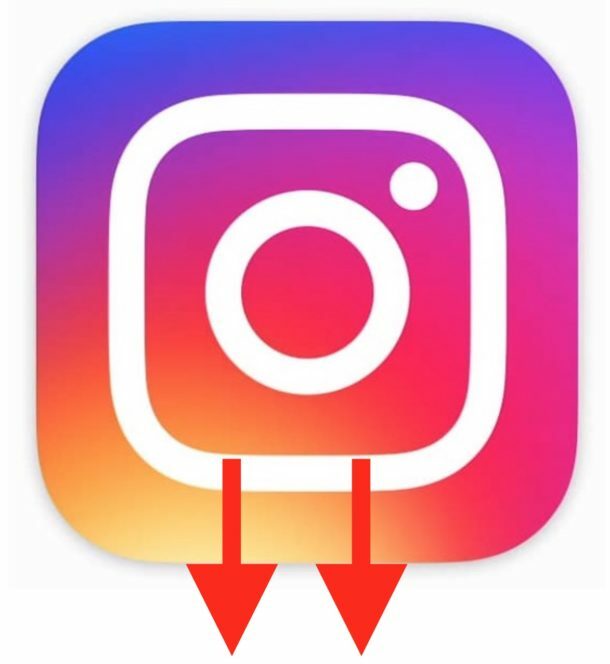 Some people may want to download their Instagram photos and videos from their accounts for different reasons, whether it’s to get a backup of your own Instagram pictures and other stuff, to migrate to another service, just out of curiosity, and certainly before deleting an Instagram account you’d want to download your data from the service first. Whatever the reason, now you know how to do it!